Product Consists : Pure Police Pour Femme Natural Spray Perfume (Weight : 75 ml), Cadbury Dairy Milk Silk Chocolate Bar (Weight : 65 gems each) along with Love Greeting Card all Comes in Exclusive Bag. 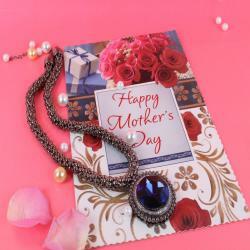 Make special efforts for your mother by gifting this and wish her Happy Mothers Day. 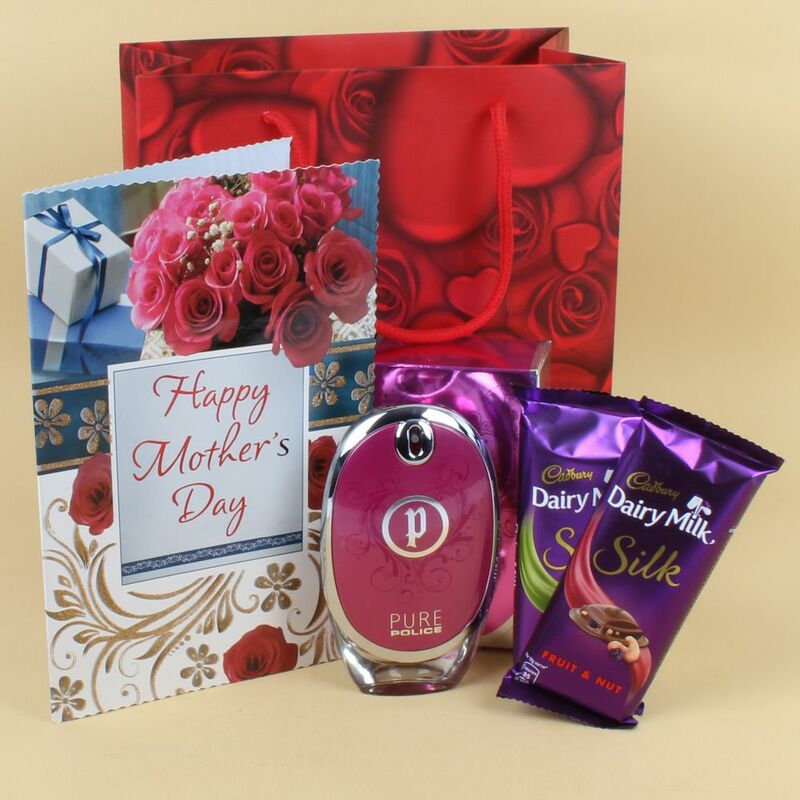 Enjoy the mother day with special gift like Pure Police Perfume with Cadbury Dairy Milk Silk Chocolate and Mothers Day Greeting Card for Mom full of joy and caring, for sure your mom will say thanks to you for creating such a beautiful moments for her. Love gifts can be gifted for plentiful reasons meanings and special thing is with one mouse click you can order. Sweet way to make your mom to smile at silly tiny gifts and delighted feelings and to see the glow of eyes for each surprises. It is the Perfect Gift. So, express your feelings for someone you love on special days like Mothers Day, Birthday and Many more. If you are looking for some exotic Mothers Day Hampers for your Mom then go ahead to Giftacrossindia.com the largest variety gifting store of India for occasions like Mothers Day, Birthday and Many more. Browse your favorite products, it is very conveniently available for online shopping from anywhere in India with Free Shipping. Product Consists : Pure Police Pour Femme Natural Spray Perfume (Weight : 75 ml), Cadbury Dairy Milk Silk Chocolate Bar (Weight : 65 gems each) along with Love Greeting Card all Comes in Exclusive Bag.